In the highly competitive education and training market, it is important to stand out. Launched by in 2010, STEM Assured is the ONLY standard that provides independent, industry-backed validation of the quality of an institution’s science, technology, engineering and mathematics provision. It is an outcome based standard that provides a powerful catalyst for helping educational institutions forge new partnerships and create new revenue stream opportunities. To achieve the STEM Assured status, education providers (schools, colleges, universities) are assessed against a robust framework that benchmarks their capability to design and deliver STEM courses that keep pace with emerging technology and the evolving needs of employers. STEM Assured status last three years. The STEM Foundation reviews progress with each STEM Assured institution annually, monitoring and supporting its process of continual improvement. STEM Assured was covered in the prestigious Science in Parliament journal. Click here to read the article. STEM Assured is a crucial differentiator and a powerful recruitment and marketing tool for educational establishments, ensuring that the curriculum stays fresh and students are attracted to the vibrancy of the courses on offer. STEM Assured is suitable for a range of institutions including schools, further and higher education providers and academies. STEM Assured can also be used by a city or a region to ensure their educational offering is of high value and differentiated. Using STEM Assured can help organisations such as city councils, LEPs and Chambers of Commerce to take a more strategic and coordinated approach to education, thus ensuring their STEM offerings fully meet with the regional economic priorities. STEM Assured is acknowledged by the Department of Business, Energy and Industrial Strategy, the National Apprenticeship Service and the UK Commission on Employment and Skills. Membership of an elite network of STEM Assured institutions. 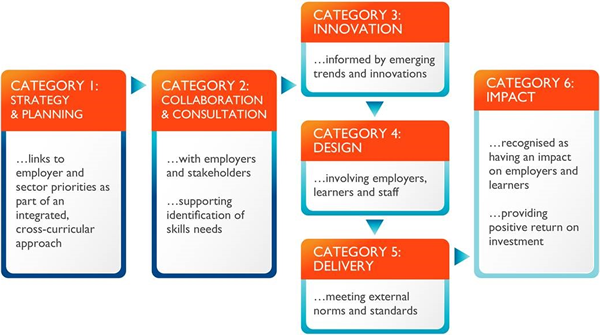 The standard has been developed to assure the quality of an integrated approach to training, learning and development within STEM areas which captures and responds to the needs of local and national employers. To add value whilst maintaining the high level of the standard, the assessment is undertaken in multiple stages. You complete a self-assessment that analyses your STEM provision against the criteria and producing actions for continuous improvement. You will be supported in this by one of our STEM team. The self-assessment will be followed by a visit by a panel of advisors who will validate the evidence and make a recommendation on whether or not you have met the required standard. The Panel visit will be supplemented by a series of interviews undertaken with staff from all areas and levels of responsibility. The Panel will also interview a sample of STEM students from different disciplines and who are at different levels of their studies. We will produce a report capturing observations of the visit and supporting evidence. It will include constructive feedback designed to support your continuous development. An external independent validation panel drawn from our Industry Educational Board and from members of our Innovation Council will be review the final submission and provide the final feedback and judgement on the STEM Assured status. Assuming that you are successful, you will receive the STEM Assured Award. The award is valid for three years and will be supported by an on-going relationship with NEF. As a recognised STEM Assured organisation, your students, employer contacts and other stakeholders will be assured of your thriving capacity to deliver STEM based education and training which meets their needs and expectations.